A VALET TRAY is a device (as a rack or tray) for holding clothing or personal effects. 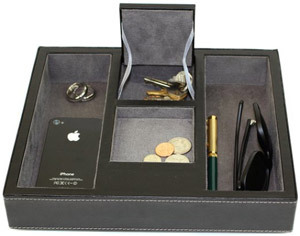 In the United States, the term is frequently used to refer to a non-freestanding cabinet or tray for holding small personal items such as watches, cuff links, keys, or a cell phone. In this sense, it is a men's jewelry box. Everyday Carry | EDC - refers to items that are carried on a consistent basis to assist in dealing with normal everyday needs of modern western society, including possible emergency situations. VALET TRAY - explanation & definition. What are your EDC essentials? - Everyday Carry. Billy Reid - coin tray. 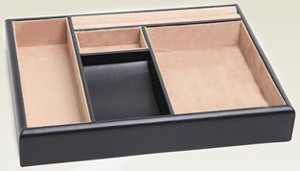 BRISTOL VALET TRAY - The Container Store. BROOKSTONE - travel valet trays. COACH - Hugo Guinness small valet trays. ETSY - handmade and vintage valet trays. 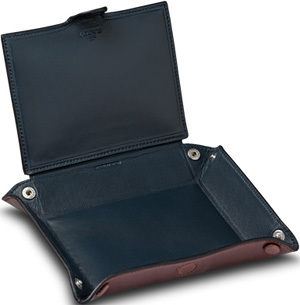 ETTINGER - leather travel trays. FERRARI STORE - Small Scuderia Ferrari valet tray. Frette - since 1860. "There's nothing like Frette." Baron Tray. GIORGIO ARMANI - valet trays. JOSH BACH MEN'S GIFTS - "Uncommon by Design." 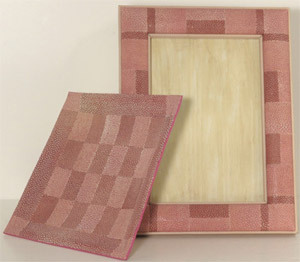 JTV - jewelry, valet trays. J.W. Hulme Co. - since 1909. "American Heritage Leather Desk Valet Tray." 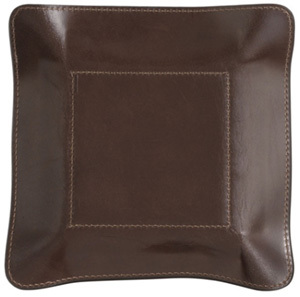 Kohl's - leather valet trays. Louis Vuitton Sundries Tray - multi-purpose hard-sided case. Making a leather Travel Valet Tray - YouTube. Mark Giusti - "La Dolce Vita" valet box. MARLEN - hange tray with snap closure. ME & RE DESIGN - valet trays for holidays. MITCHEL LEATHER FACTORY & STORE - "Our handmade valet tray is the perfect place for guys to empty their pockets and for women to keep their jewelry." 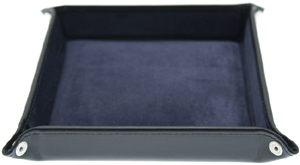 ROYCE LEATHER - men's leather valet tray. SMART VALET TRAY - Storus.com. Stow - "Sanderson Leather Trays." T.Anthony - leather bureau valet. The Bridge - "Firenze 1969." Tom Bihn - travel tray. 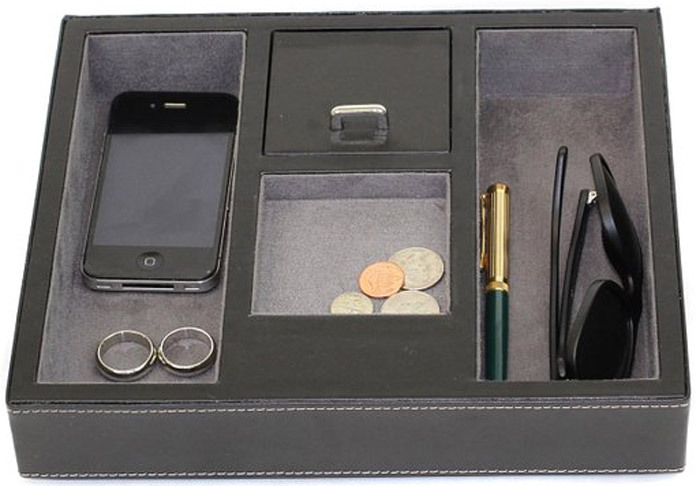 Tony Perotti - unisex executive organizer travel trays. TURNBULL & ASSER - "Made in England." Leather travel trays. 71-72 Jermyn Street, London. Tuscany Leather - exclusive leather tidy tray large size. Venlu - grand dresser valet. WOLF DESIGNS - set of two valet trays.